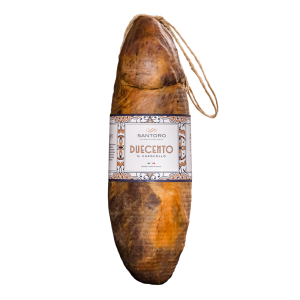 Cut it into thin slices and eat it like this, in all its simplicity. 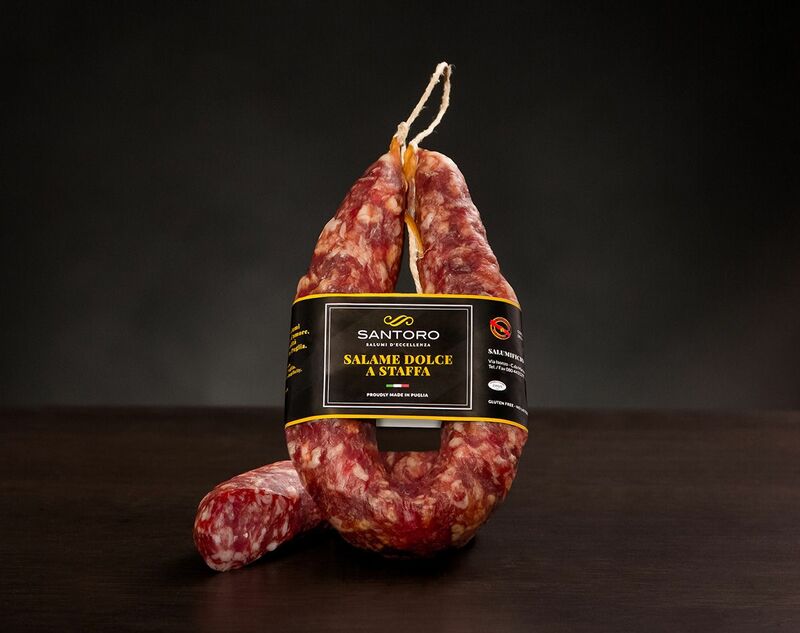 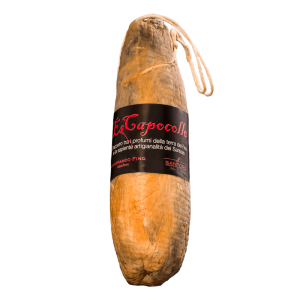 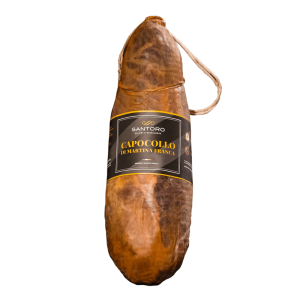 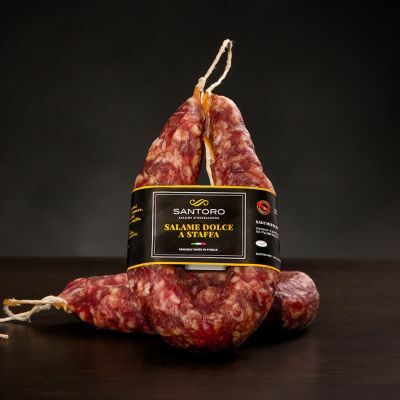 This salami takes its name from its shape, given by the natural casing in which it is bagged. 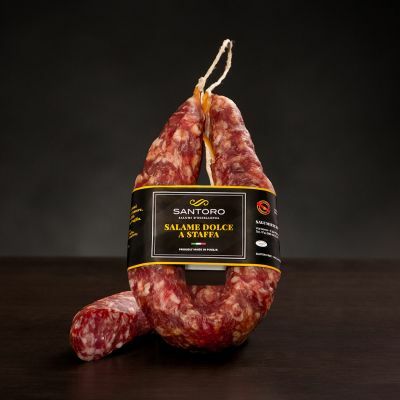 The characteristic red color, the average millstone, the perfect balance between the lean and the fat part, make it unique. 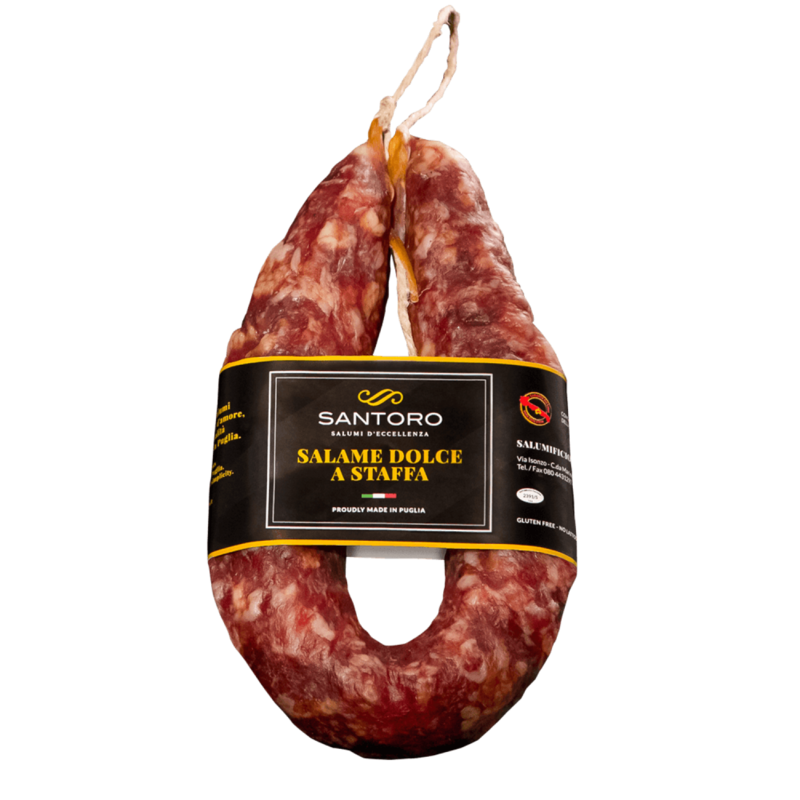 Do not just call it salami. 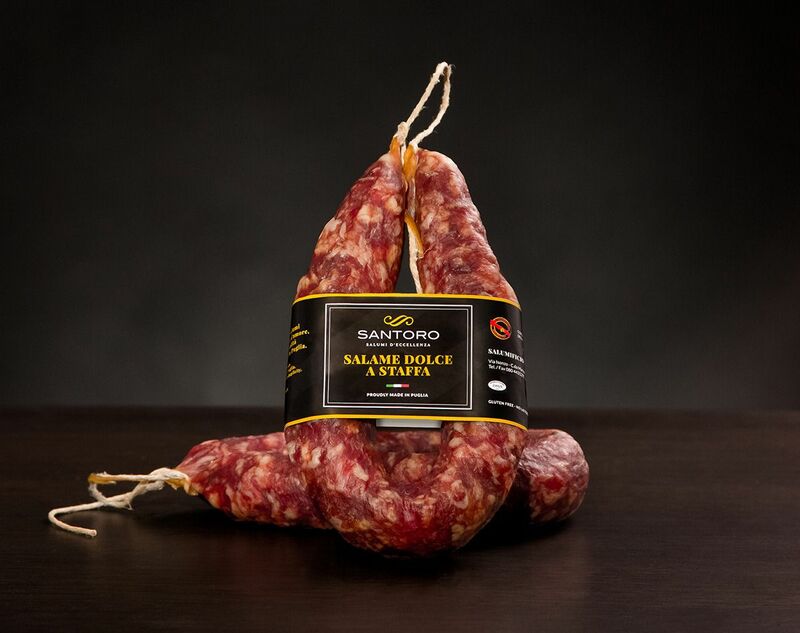 Store the sweet salami in a cool and dry place, consume within 6 months from the packaging date.